i Click 'view all' to instantly compare this ok deal with offers on other top washing machines. 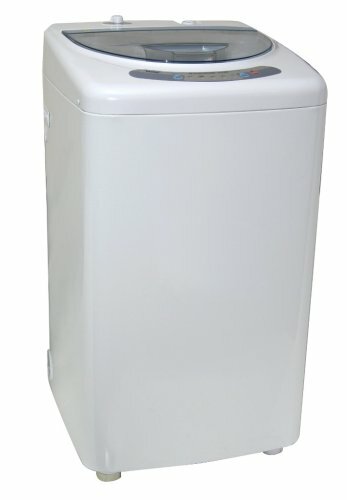 Haier HLP21N Portable Top Load Washer with Stainless Steel Tub is currently selling at $229.99, which is its normal price. It has a lowest price of $229.99 and is selling within its usual range. Price volatility is 0.15% (meaning it does not change often), so you might have to wait a while for the price to drop. Until then this is a recommended 'ok deal'. The current deal is also the best price on this item over the last month. 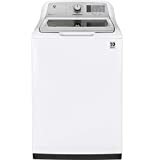 Compare the current price, savings (in dollars & percent) and Buy Ratings for the top Washing Machines that are closely related to Haier HLP21N Portable Top Load Washer with Stainless Steel Tub. Here is how Haier HLP21N Portable Top Load Washer with Stainless Steel Tub compares with other leading Washing Machines. Haier's 1.0 cu. ft. compact Pulsator Washer provides the convenience of at-home laundry facilities for spaces where full-size machines are not an option. It is ideal for small apartments, mobile homes, and other places where space is limited. This model features a durable stainless steel tub and gives you a choice of Heavy, Normal, or Quick Wash cycles and Low, Medium, or High water levels for the perfect combination every time. The unit plugs into any standard household 120-Volt outlet and connects quickly and easily to any sink. Get the best fit with the included fill and drain hoses and Quick-Connect sink adapter. It also offers optimum portability since it can be easily rolled away for storage. All this plus quiet operation adds up to the ultimate in compact laundry solutions. This easy-to-use, compact washer features a durable stainless steel tub and uses a pulsator system rather than a traditional agitator to create a powerful and effective wash action without the twisting and pulling that an agitator can cause. The absence of an agitator also frees up additional space in the wash tub to provide you with maximum wash load capacity. The pulsating action results in superb cleaning performance in a non-abrasive wash environment. It is gentler on clothes as well, making it excellent for items such as cloth diapers, baby clothes, and delicate. Choose from Heavy, Normal, or Quick Wash cycles and Low, Medium, or High electronically controlled water levels on a simple touch pad to get the perfect combination for your load every time. 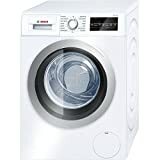 The electronic controls include a pause button should you need to interrupt the cycle for any reason, and a clear viewing window at the top lets you check on your laundry. LED indicator lights clearly display the cycle status, and an end-of-cycle signal alerts you when clothes are clean and ready to be removed.